The Kontinental Hockey League has suggested it may withdraw its players from the Pyeongchang Olympics in protest of investigations into Russian athletes. The Kontinental Hockey League may withdraw its players from the PyeongChang Games in protest of doping investigations into Russian athletes, the league president suggested on Saturday. The Moscow-based KHL, widely considered the strongest league outside the NHL, contains leading Russians but also many players who could represent the United States, Canada, and various European nations. Canada's current Olympic roster includes 15 players from the KHL including goalie Ben Scrivens (Salavat Yulaev Ufa) as well as forwards Wojtek Wolski (Kunlun Red Star), Brandon Kozun (Lokomotiv Yaroslavl), Eric O'Dell (HC Sochi), and Matt Frattin (Barys Astana). That team begins play in the Karjala Cup in Helsinki, Finland, starting Wednesday. In a statement, KHL president Dmitry Chernyshenko said the International Olympic Committee "is destroying the existing world order in sports" by pursuing doping cases against Russians in other sports who are suspected of using banned substances around the time of the 2014 Winter Olympics in Sochi. Chernyshenko referenced the NHL's absence from Pyeongchang this February after failing to reach a deal with the IOC, and said "the KHL is ready to respond accordingly." IOC commissions "suspend athletes without a basis of real facts confirming doping," Chernyshenko said. A Russian gold medallist in cross-country skiing was stripped of his title by an IOC panel on Wednesday using evidence of Russian doping coverups and tampering with sample bottles. 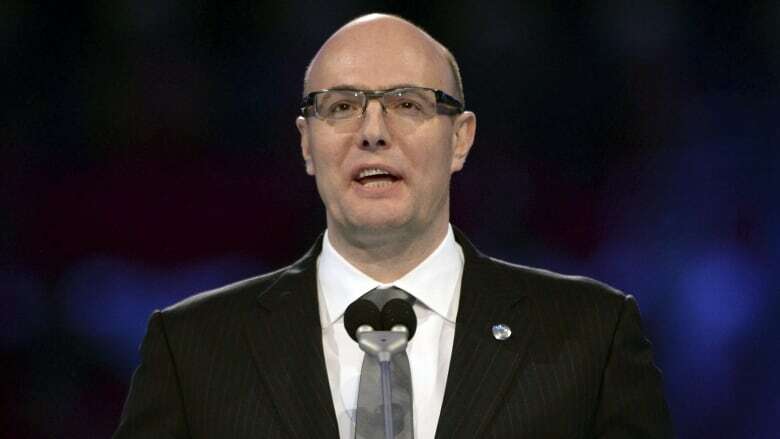 Chernyshenko previously headed Russia's organizing committee for the Sochi Olympics, where Russia has since been accused of operating a state-sponsored program of drug use and coverups. Russians were being unfairly targeted by the IOC, Chernyshenko said. He referred to a recent speech by Russian President Vladimir Putin in which Putin accused the U.S. of lobbying the IOC for Russia's exclusion from Pyeongchang or trying to force IOC officials to make Russians compete under a neutral flag. A KHL pullout from the Olympics would leave Russia with very few players to choose from — if Russia was still allowed or willing to take part in the Olympic ice hockey tournament. For the U.S. and Canada, it would mean a greater reliance on junior or college players, or those scattered across smaller European leagues. Countries like Finland and Sweden could benefit — they'd lose some KHL-based players, but would be in a comparatively stronger position because of the depth in their national leagues. The KHL contains clubs across seven countries from Finland to China, but the vast majority are in Russia. Many teams are funded by Russian state companies, regional governments or businessmen close to Putin.